Your round-up of headline-making food news in Singapore and beyond. In this edition of The Scoop: Splash out on Cé La Vi's S$2 million dinner menu; the Singapore Food Festival returns with a bigger-than-before line-up; and foodies get a visual feast at the Golden Village Food Film Festival. Are you a jaded diner tired of being served the same-old, same-old? 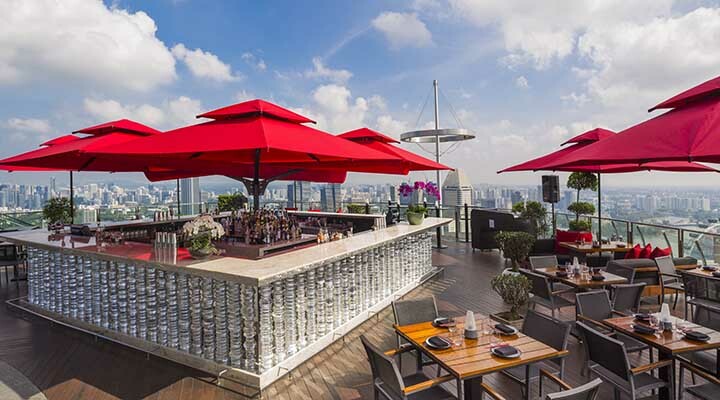 Why not try a S$2 million dinner menu for two? Offered by Singapore restaurant-lounge Cé La Vi in partnership with Russian diamond company, the World of Diamonds Group in conjunction with their 15th anniversary celebrations, the package involves eight hours of ultra-luxe pampering, including a helicopter ride, chauffeured Rolls Royce ride and private yacht tour around Singapore and a gift of 10,000 fresh roses on arrival at the restaurant. After dining on 18-course modern Asian degustation menu pairing premium ingredients such as Almas caviar, Belon oysters and Gewürztraminer-poached foie gras paired with 44- and 55-year-old vintage wines, the dining duo will also get to take home diamond-studded chopsticks, custom-made armchairs and a 2.08 carat Fancy Vivid Blue diamond ring fom actress Jane Seymour's personal jewelley collection as, oh you know, just your regular door gifts. C’est la vie, indeed. The annual Singapore Food Festival is back again, and it’s bigger and better than before. 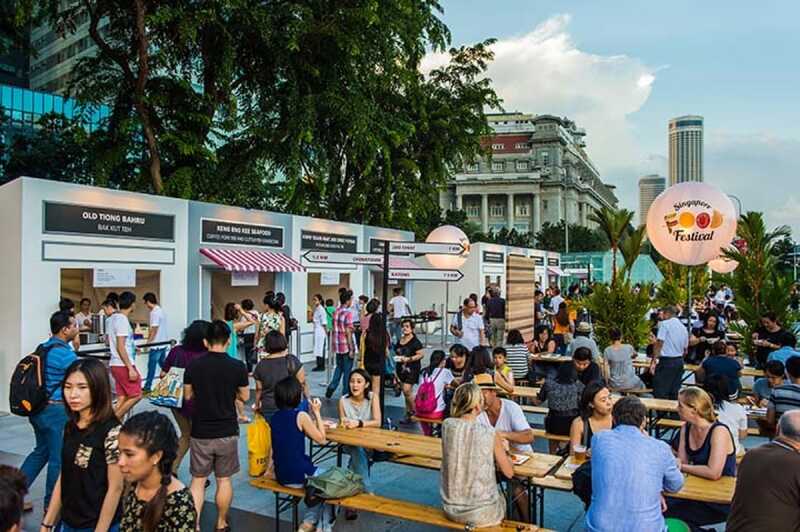 Taking place from 15 to 31 July, the festival’s 23rd edition is themed “Savour the Past, Taste the Future” and will feature a record line-up of 18 gastronomic experiences that span dining along shophouse-lined streets to savouring an outdoor barbeque in a gastro-park. The festival’s headlining event will see F&B stalwart Tunglok Group’s group culinary consultant Susur Lee and senior executive chef Ken Ling along with Han Liguang of Restaurant Labyrinth collaborate on an exclusive 6-hands dinner served in purpose-built pop-up restaurant STREAT on Clifford Square. If you missed out on the chance to dine at Sukiyabashi Jiro earlier this month through our Michelin Master of Taste contest, you can still watch the grandmaster of sushi doing his thing on the big screen, thanks to the upcoming Golden Village Food Film Festival running from 21 to 27 July at Golden Village Suntec City Mall. Besides the acclaimed Jiro Dreams of Sushi documentary, other appetite-whetting films include Ants on a Shrimp, a behind-the-scenes account of two-Michelin-starred Noma restaurant’s brief pop-up in Tokyo, and Sergio Herman F***ing Perfect, a documentary about Netherlands chef Sergio Herman’s decision to shut down his three-Michelin-starred restaurant Oud Sluis at the peak of his career. Word of warning: don’t go hungry.